Consider the Consequences of Your Purchases at the Garden Center this Spring. When buying flowers: The more a plant is manipulated, the less attractive it becomes to wildlife. Manipulating a plant’s natural evolutionary traits that provide the necessary cues that entice wildlife to visit–such as color, size, shape, bloom time, leaf variegation, leaf color, structure, even scent–can confuse wildlife, discourage visits, and greatly diminish a plant’s ecosystem value in your garden. 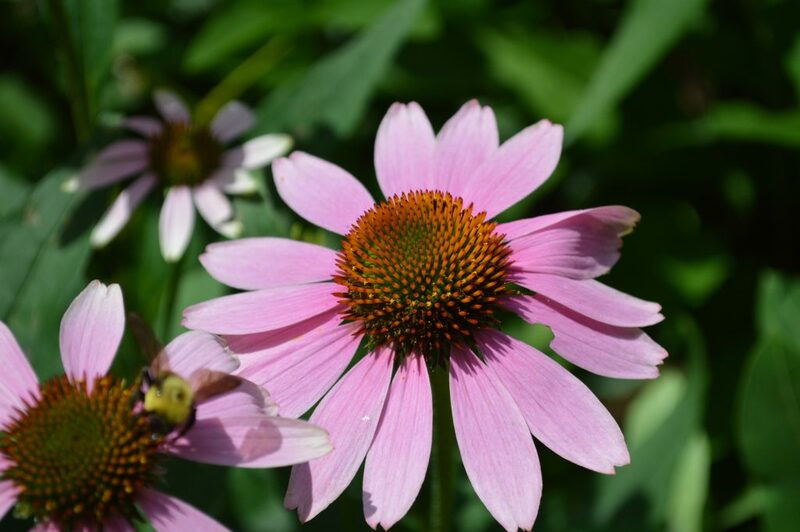 One example, left: native Echinacea purpurea has been cultivated into a floral oddity. The dense and deep structure of the ironically named ‘Butterfly Kisses’ probably keeps most pollinators away. Additionally, this cultivar’s seedhead has virtually vanished so that it offers few winter seeds for birds. The native flower’s unaltered open structure (above) offers pollinators easy access to nutrients. If you want plants that offer the greatest ecosystem value to your garden, plant native plants. Or, if you include cultivars in your purchases, realize that the more manipulated the plant, the less value it will have for wildlife. Also, if you want your yard to be pollinator friendly, make sure the flowers, trees, shrubs you purchase are neonicotinoid free. 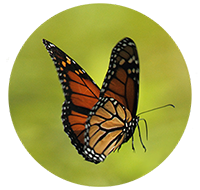 Systemic pesticides can be deadly to pollinators. When buying mulch: Leave the cypress mulch at the store. Cypress forests are rarely replanted after they are harvested. And because large swaths of mature cypress forests have been harvested, mulch manufacturers are starting to harvest immature trees. Best to leave the cypress mulch behind and consider other options. When buying mulch, ask which mulches are the most sustainable products available, and why. “Wood from the hood” types of mulch–mulch from local city trees trimmed or or downed from storms–are among the more sustainable sources. When buying peat moss/compost/soil amendments: Leave the peat moss at the store. Peat bogs are seen by some scientists to be as important and fragile as rainforests, and that’s where the concern lies about the use of peat moss by gardeners. “Peat companies are destroying these fragile, unique and valuable bog ecosystems by removing the peat. Peatlands store a third of the world’s soil carbon, and their harvesting and use releases carbon dioxide, the major greenhouse gas driving climate change…For horticultural use, the extraction of peat requires the removal of a bog’s living surface to reach the partially decomposed layers beneath. It grows at a mere sixteenth of an inch a year, and its mining removes layers that take centuries to develop. “Peat is the best vegetative carbon sink we have on the planet,” Highland said. “Why dig it up?” (from the Washington Post). Alternatives to peat moss. Using good old-fashioned compost is also a sustainable way to build soil health.